I’ve had a stove top pressure cooker for over 20 years. I could clear the room any time I talked about it. Everyone would say: I wouldn’t want one of those in my house. Too dangerous. I find it hilarious that Instant Pot has sold a million billion pressure cookers. How appropriate. I cleaned it all up and set it aside for next weekend when I have more time. 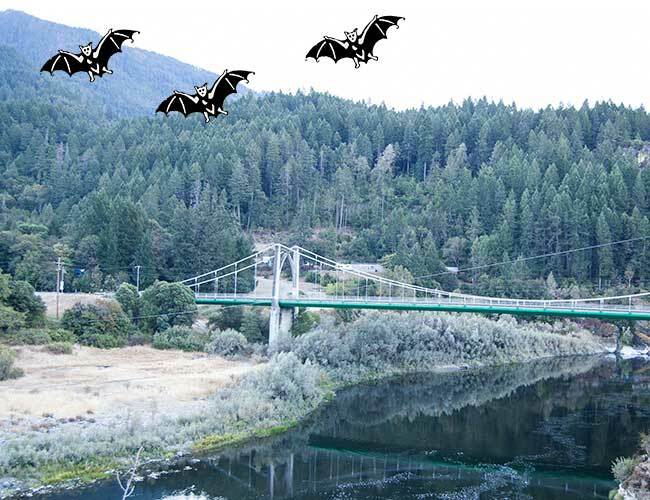 Work on Book #4 is proceeding. It seems like if I get too optimistic I get stuck so no optimism here but still aiming for a spring release. I’m doing a big free promotion on Book #1 in a couple of weeks. Details to come. 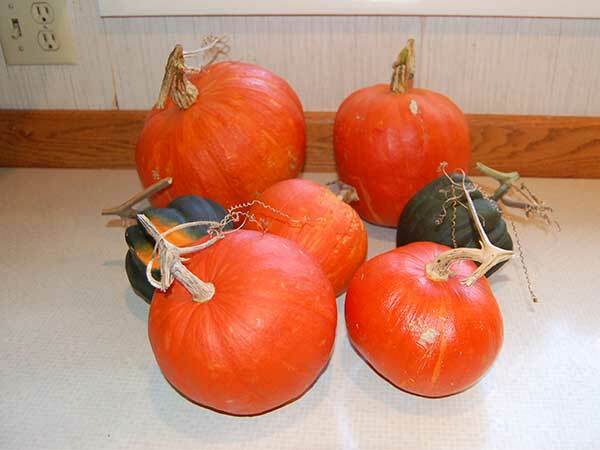 This beautiful bright orange pumpkin is going to be made into a pie for Thursday’s dessert. If you missed it, Sweetheart Braves received a terrific review from Dear Author: Recommended Read. I’m working like crazy on book 4. It’s a pretty rugged first draft but I’m hoping I can finish by the end of the year. Each one is different but generally its easier for me to fix it once I have a draft than it is to make it up out of nothing. I’ll keep you updated. I like how this photo looks so dramatic. I’m always rushing to take photos and end up with terrible light and shadows in weird places. It cracks me up when I get something turns out like this. My brother and sister-in-law have moved back to town. We celebrated BILs birthday last month and I made him a pie. 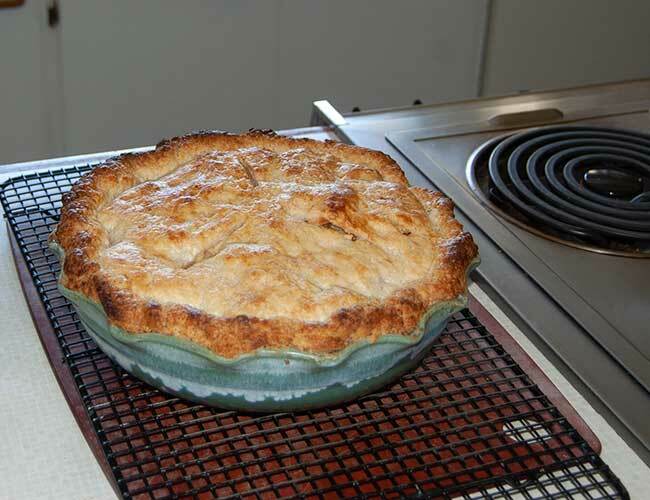 I love this giant pie dish. I intended to take more photos of the process but I am a failed lifestyle blogger and completely forgot even with the camera sitting on the kitchen counter. Manuscript is messier than I would like at this point but it’s coming along. Hopefully I can get it into your hands by the beginning of September. Someone needs classes on foods photography. This is a recipe I found in a cookbook or magazine at my mom’s. I thought I had the original source but I can’t find it so this will be my adaptation. I thought I had a lot more squash but this was the last of it. 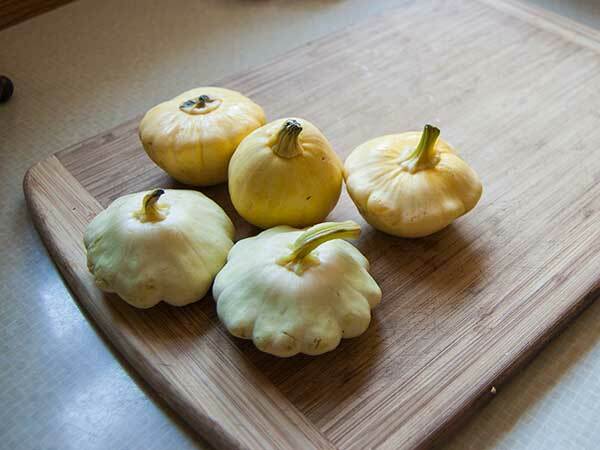 When I was in CA visiting family people gave me huge bags of squash to bring home. 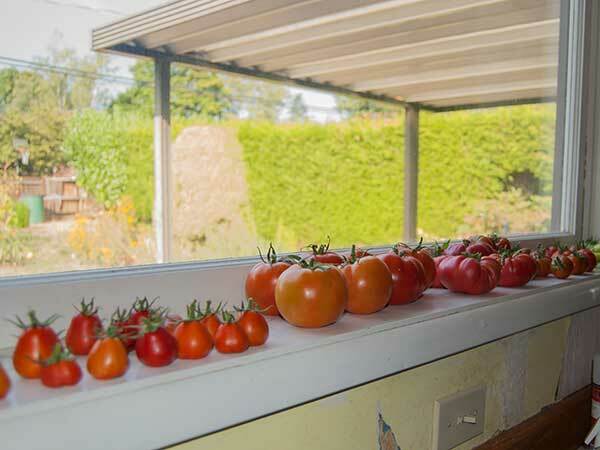 This is my best tomato crop in eons. I’ve already harvested more than I’ve had in the last 3 years and there are tons more on the way. Lesson learned: get plants that were made to grow in your area. Here’s the finished product which looks terrible. Sorry! It’s delicious. If you like vegetables, this is a keeper. Also if you’re the kind of cook who likes precise instructions, this will be a disappointment. Selection of zucchini and/or squash that you’re trying to get rid of, thinly sliced. Tossed with olive oil and thyme. Half a loaf of cotija cheese or any cheese that turns your crank, grated or cubed or crumbled. Cook in large lasagna type pan unless you’re making a small version. Then use small lasagna type pan. Saute onions in oil until limp and a little bit brown. 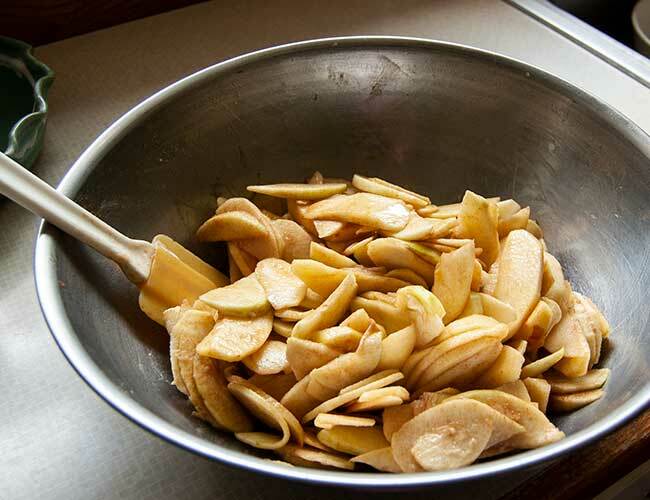 Spread in the bottom of your dish. Spread squash in a layer over the onions. If you’re using the canned tomatoes: combine with the green chiles, drain a little bit, and spread over the squash. 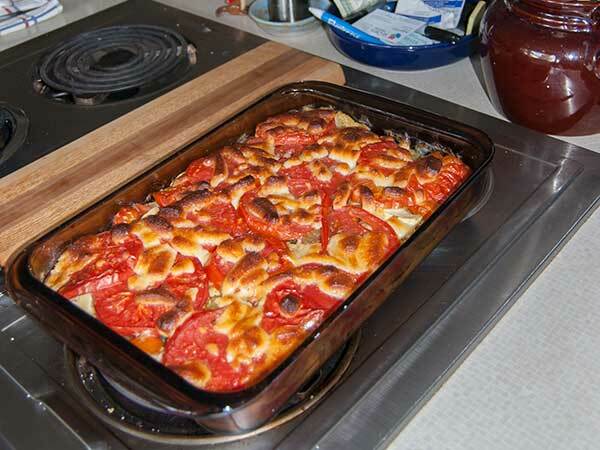 If you’re using fresh, spread the chiles around and then layer the sliced tomatoes. Finally, spread the cheese over the top. Bake at 375 for an hour to 75 minutes and let cool for a bit before you serve. The first time I made it I was worried because the cheese turned so brown but it tasted amazing. Great as leftovers, too. It’s a very adaptable recipe. I’ve used every kind of cheese depending on what I had on hand. The original recipe doesn’t use the green chiles and uses Parmesan. You can use a couple of cans of Rotel instead of the tomatoes and chiles. FREE BOOK PROMO — Heartbeat Braves is FREE right now. If you haven’t already read it or if you know a friend who might like it: now is the time. Last weekend my desktop computer died. It took its time going about it and I wasted most of my writing day trying “one more thing” to get it back up to speed. I use multiple back-up methods so that wasn’t an issue, although one of the troubleshooting things was to remove Chrome and I was in such a hurry I neglected to save my bookmarks. New machine arrived and I was able to get up and running on it fairly quickly until I opened my Scrivener document of my work in progress and it was empty. Again, I am good with backing up and I was able to figure out what happened and where to find a back up that was about 98% current but all this technology froofing around has wasted a lot of my measly writing time. I am behind. I think I said early spring for Book 2. HA! Pushing it back to early summer. I’ve learned that it’s not that I can’t write that fast. But I can’t that fast without letting down in every other area of my life: friends, family, health, household, work. Not a good plan for the long run. Meanwhile, this is today’s sourdough loaf. It’s the prettiest loaf I’ve done in awhile. 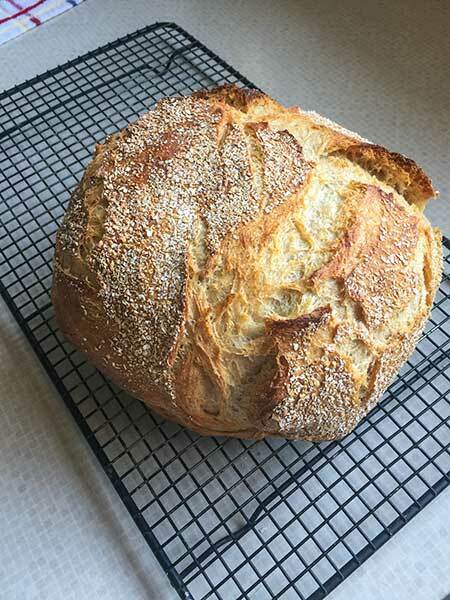 I’ve written posts about how I make bread at my other website. Part 1 and Part 2. I think I’ve finally learned my lesson and I’m doing a lot more Thanksgiving meal prep in advance. Today I processed almost all the pumpkins and I made the pie crust and put it in the fridge. 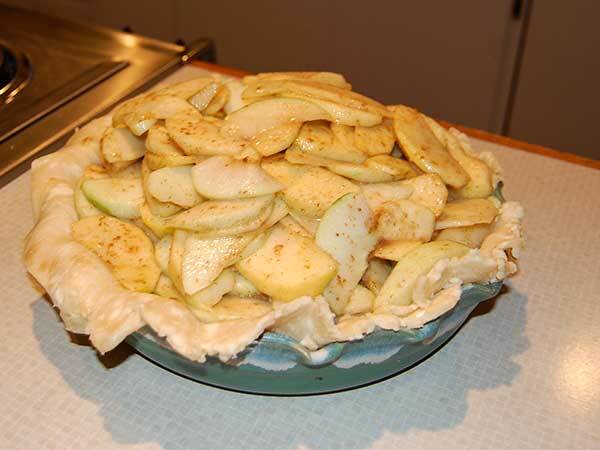 I’m making the pie on Wednesday. I read a long thread about how it isn’t worth it to make your own pie filling. 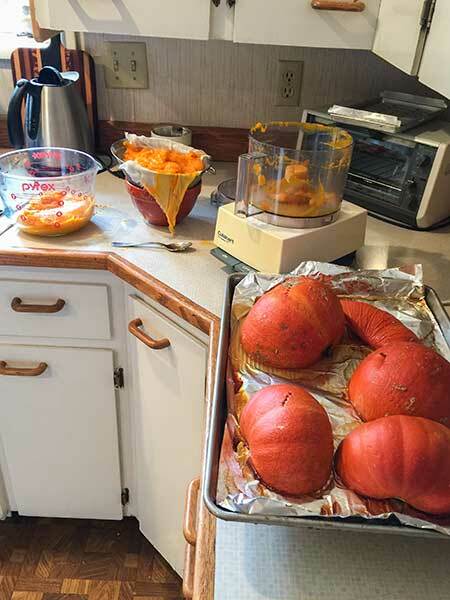 One of the steps they talk about is cooking the pumpkin down. I have never done that. I slow roast the pumpkin then scrape it out of the rind and put it in a strainer lined with cheesecloth and let the extra juice drip out. It’s been so long since I’ve had canned filling, I’m not sure if this tastes better. But it’s bright orange so I like to think so. Keep an eye out. I’m doing a .99 cent promotion on Heartbeat Braves the last week of November. 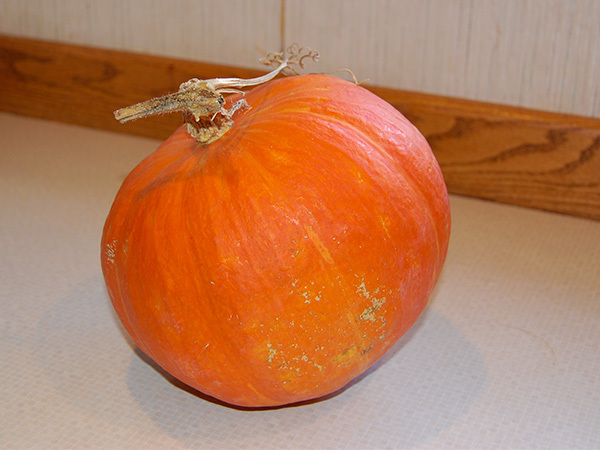 This is the last pumpkin from the garden. I meant to process it a couple of weeks ago but I ran out of time so I did it yesterday. First step, chop it in half. I use the biggest knife I have and a rubber mallet that I think came with the kit to assemble my computer cart. I scrape out the seeds and save for next year’s garden. Face down on a cookie sheet covered with foil and spritzed with no-stick spray. You can skip the foil but you might regret it when you have to wash your pan. This year I baked as recommended by Serious Eats approximate 1 hour and 15 minutes at 275. I ended up cooking it a little extra and I probably could have let it go even longer but I was impatient with cooking and wanted to get everything put away. 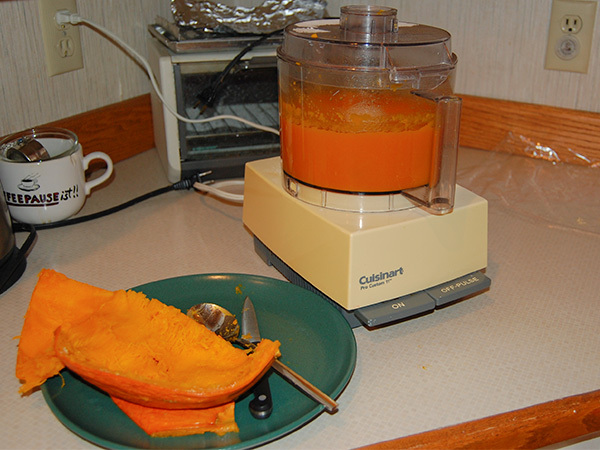 I scrape the pumpkin into the food processor and let ‘er rip. 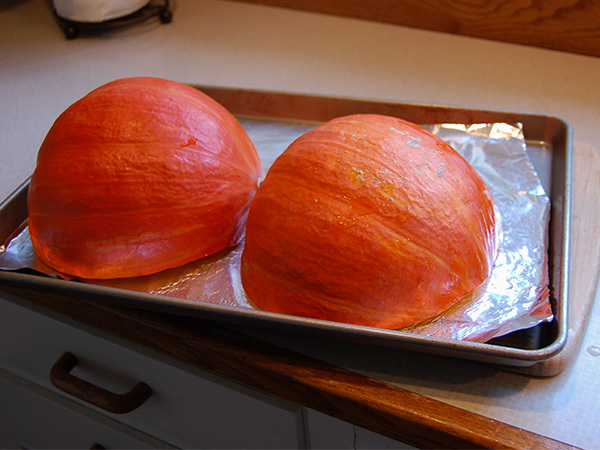 Sometimes after this step I let the pumpkin drain in a strainer lined with cheesecloth but, no patience for that this time. 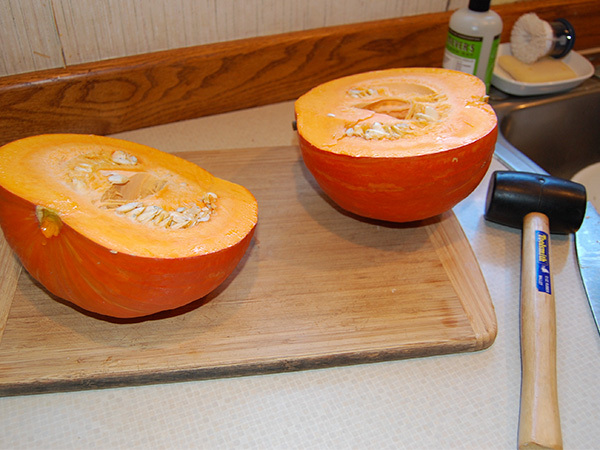 Half I used in a pot of pumpkin soup and the rest I saved for the freezer. That will end up as a pie or maybe pumpkin chili later this year. 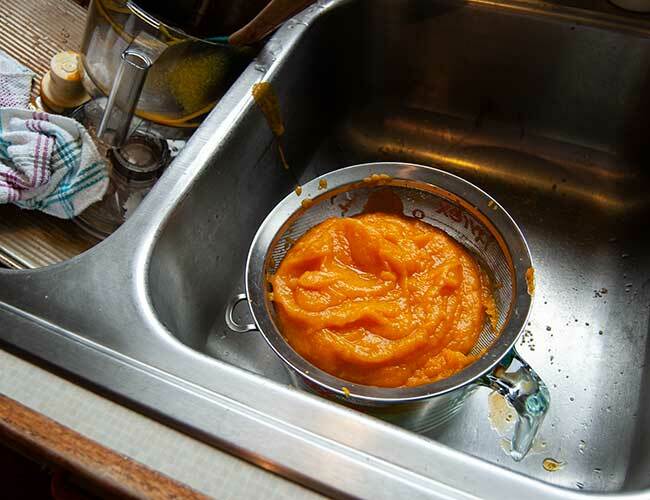 For the past couple of years I used this Smooth Pumpkin Pie recipe with great success. But a couple of weeks ago I made these Pumpkin Oreo Cheesecake Bars so I thought I would go for a straight pumpkin pie for Thanksgiving dinner. I figured I’d use the Serious Eats Classic Pumpkin Pie recipe – come on. It’s Serious Eats. I trust their recipes. I printed it out and made sure I had the ingredients and never examined more closely. That brings us to cooking day. I had started mixing together the pumpkin stuff when I got to the part where the recipe called for 1 tablespoon of ground ginger. This sounded like too much to me. I’ve learned not to blindly trust recipes after that time I accidentally made about 1000 gallons of lentil soup. Then I thought it would be a good idea to look for another recipe. Except I’d already started mixing stuff together. I was stuck with what I had. I improvised by not using so much ginger and adjusting the spices and cooking times via the comments. It came out great. Very pumpkiny and yummy and even better the next day. I wish I’d taken better notes for next year. No fancy food photography here. Quite a few years ago I decided that writing offered little in terms of immediate gratification and that I wanted to commit myself to learning a skill with more immediate rewards. Pie baking runs in the family so I already had the basics. 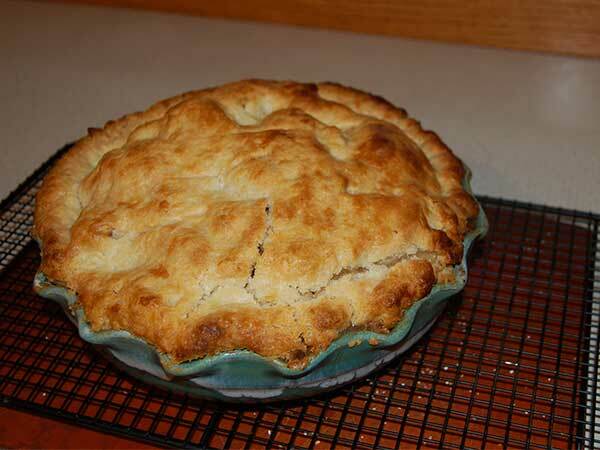 I use this recipe for my crust except I use 3 oz. of shortening and 7 oz. of butter. 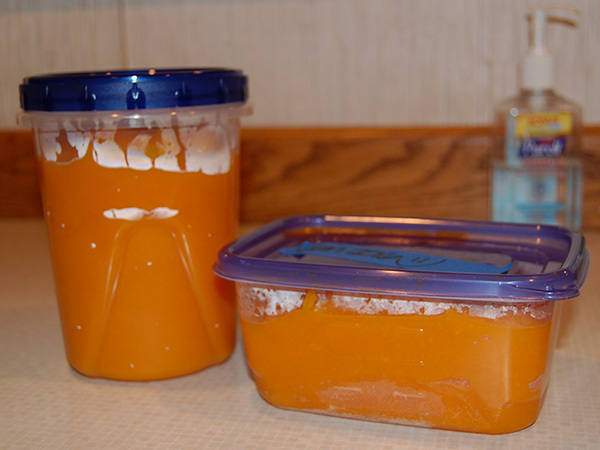 I’ve learned that keeping it in the fridge overnight works better for me. I use 1 tsp. cinnamon, 3/4 cup sugar and 1/4 cup flour. 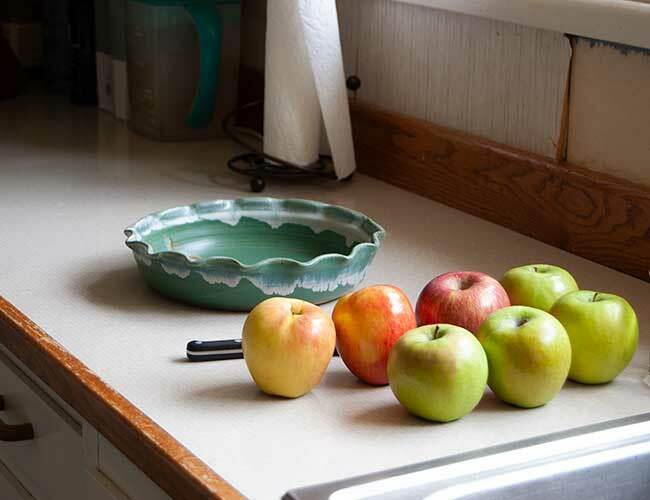 I like lots of apples and one of my pie dishes is deep so this fall I’ve been experimenting with adding more apples. I just cram them in with my hands. 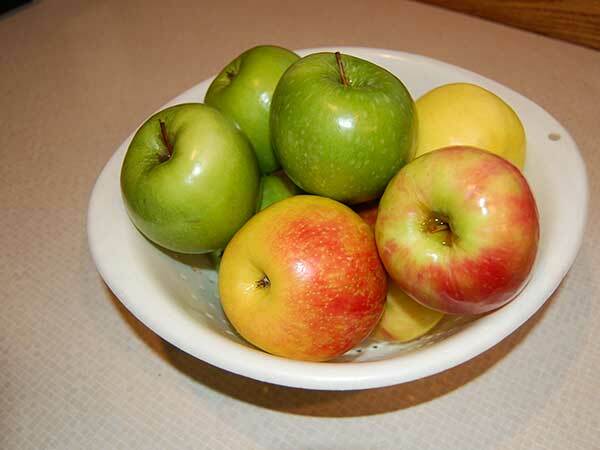 It seemed like the center apples still had a bite so I’ve been nuking them for 1-2 minutes and that’s been working well. I’m still not great at making crust. (Or photographing the results.) My secret is to be fearless. You can see where it got a little goofy. Still tastes amazing.